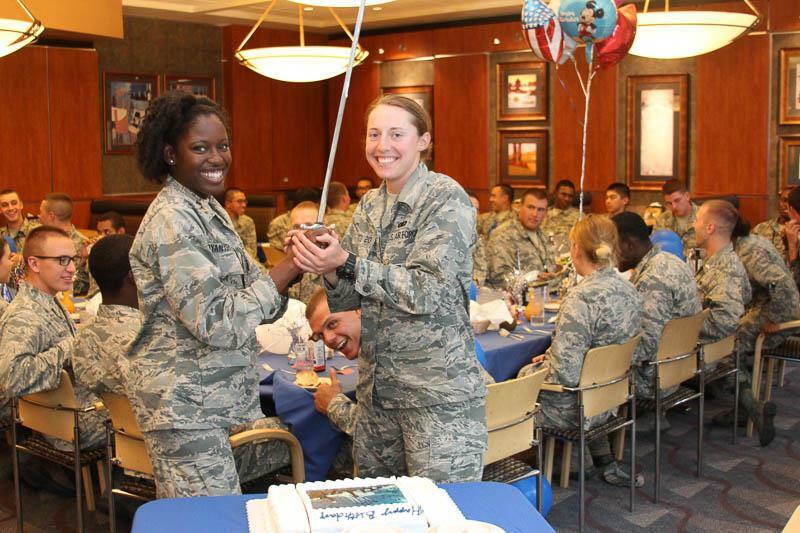 One of the unique benefits of the prep school's small size compared to USAFA is the dining facility (DFAC). No one every complains about the food served there. 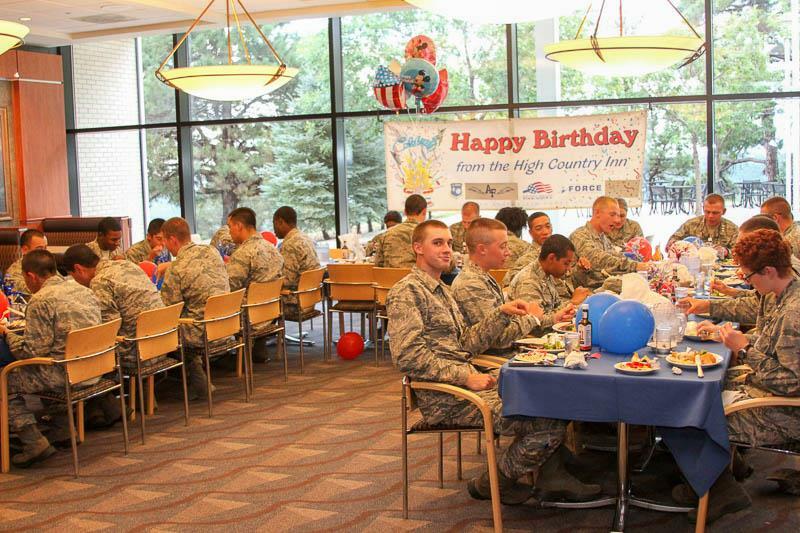 Every month during the academy year, the DFAC hosts a birthday dinner for C/Cs celebrating birthdays during that month. This month the dinner was for both July and August birtdays. The dinner includes a choice of steak or chicken cordon bleu and is served on china. Finally there is cake and ice cream for dessert. By military tradition, the cake is cut with a cadet sabre by the oldest and youngest C/Cs in attendance. Enjoy the photos in the Prep Life gallery.